This is a gear from inside a motor. This is why you use a combination of gears to move a long lever arm. 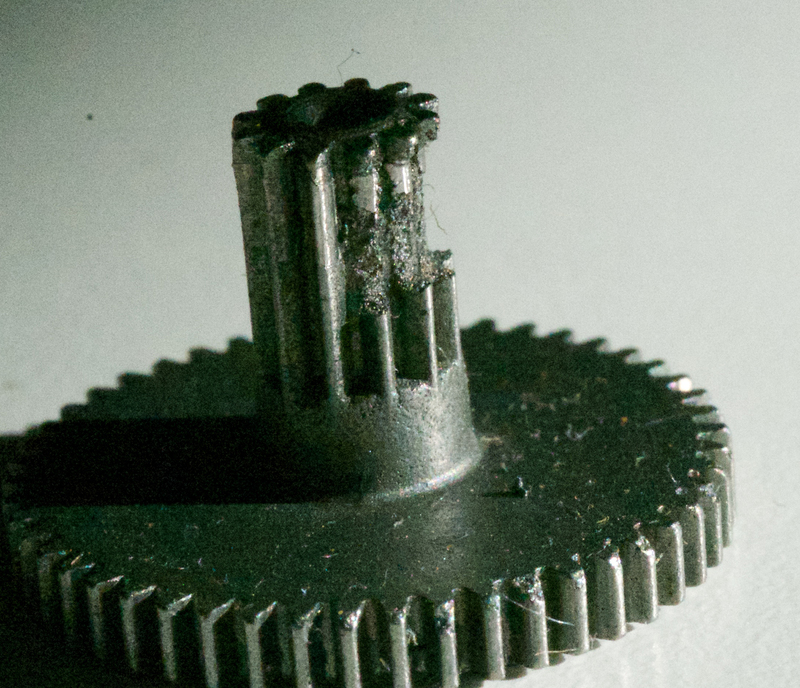 High torque on a gear is generally very bad for the gear.